Now the festive season has began and I had brought you the diwali WhatsApp viral script for blogger and also the PHP diwali wishing script which is best if you had a hosting. 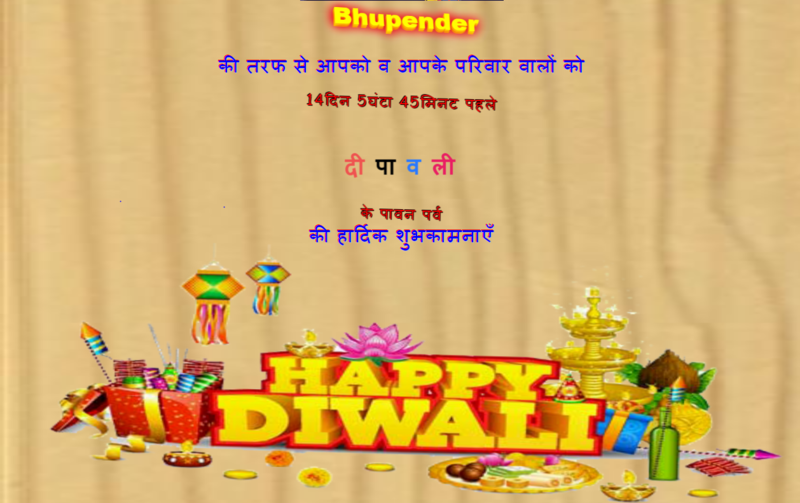 Note:- The PHP diwali wishing script will not work on Blogger so, kindly be aware. Diwali is just a few weeks away and if you are in search of a good looks viral script then you should read this whole post. This post covers the topics like setting up the diwali wishing script on blogger, setting up the PHP wishing script over a hosting and how to earn from wishing viral scripts I had provided. Setting up wishing script on Blogger is quite simple process. Make an blogger blog, if you don’t know how to setup go here How To Setup A Blogger Blog. Go to themes tab and click on settings icon under the mobile theme or iframe and set the desktop theme for mobiles. In the themes tab only click on retrieve to classic themes. Delete the default HTML code and paste the viral script code by copying from there. Also remove the already added ad code from there and add your own one, if planning to earn from your script. Before getting into the script let me tell you that you should have a web hosting for this script to work with PHP support. Extract the ZIP file into your cpanel’s public_html folder. Edit the Ad codes and Google Analytics Code(Yours). Also edit the WhatsApp share message’s link to your link. Congratulations your PHP version of diwali WhatsApp viral script is ready. Also if you had got any problem in setting up the PHP diwali wishing script you can contact me over the comment box, I will be ready to help you. Now let’s see how you can earn from these two WhatsApp Wishing script I provided. One of the best ways to earn from wishing viral scripts is to display the Ads from the various Ad networks. The most preferred ad network is Google AdSense but it is recommend not to use Google AdSense for wishing viral script or any kind of viral script. Then here the question arises “Which ad network to use?” I also recommend the Google AdSense but if you are not willing to get your AdSense permanently banned then don’t go with it. Best ad network here work is Chitka as it pay you per 1000 impressions but a very high revenue can be generated as the traffic over the wishing script or viral script is more then a traditional blog. There are also some other ad networks I want to add up like Propeller Ads, AdNow, RevenueHits etc. This was about How to earn from wishing viral script.